Sing, O Muse, of my wanderings at Google, where I encountered strange ideas, heros and demigods, at Sci Foo 2011. The sixth annual Science Foo Camp (Sci Foo) was held August 12-14 at the Googleplex in Mountain View, California, organized and sponsored by the interesting consortium of Nature, Google, and O'Reilly Media. "Foo" Camp is an idea originated by Tim O'Reilly. It stands for "Friends of O'Reilly." At Sci Foo, about 200 leading scientists, technologists, writers, and other thought-leaders gather for a weekend of unbridled discussion, demonstration, and debate. For a sense of what goes on, check out previous Edge reports: Sci Foo—2007 by George Dyson, A Slice of Sci Foo—2008 by Frank Wilczek, Sci Foo 2009 and Sci Foo Photo Album—2009. Sci Foo is different from all the other sci-tech-digerati conferences that have proliferated. In terms of signal to noise ratio for a conference, it's the cleanest signal you can find: everybody you meet, look at, talk to, listen to, is someone you want to know, someone you should know. It's unique in that regard, and it's the best couple of days of the year for most of the people that are fortunate enough to be invited to attend. There's a spirit, an energy, and ebulliance from all concerned about the scientific enterprise. "Ask the question you are asking yourself. You have one minute." Google's Open Sourcerer and Sci-Foo co-organizer, Chris Dibona and 30 other Sci-Foo attendees answer. Martin Rees, President Emeritus, The Royal Society; Professor of Cosmology & Astrophysics; Master, Trinity College, University of Cambridge; Author, Our Final Century: The 50/50 Threat to Humanity's Survival ; Hans Ulrich Obrist, Curator, Serpentine Gallery, London; Editor: A Brief History of Curating; Formulas for Now; Vittorio Bo,Director, Festival Della Scienzia, Genova; Nicholas Pritzker, Chairman of the Board and CEO of the Hyatt Development Corporation; George Dyson, Science Historian; Author, Darwin Among the Machines; Project Orion;Larry Brilliant, President of the Skoll Urgent Threats Fund and Senior Adviser to Jeff Skoll; Jonathan Schooler, Professor of Psychology, University of California Santa Barbra; Juan Enriquez, CEO, Biotechonomy; was Founding Director, Harvard Business School's Life Sciences Project; Author,The Unti, States of America; Philip Campbell, Editor-in Chief, Nature; Stewart Brand, Founder, The Whole Earth Catalog; Cofounder, Chairman, The Long Now Foundation; Author, Whole Earth Discipline ; Frank Wilczek. Herman Feshbach Professor of Physics, MIT; Recipient, Nobel Prize in Physics, 2004; Author, The Lightness of Being;Cat Allman, Google’s open source Programs Office, Co-Organizer of SciFoo; Jennifer Jacquet, Postdoctoral Researcher, Fisheries Centre/Department of Mathematics, University of British Columbia;Mariette DiChristina, Editor in Chief, Scientific American; Chris Dibona, Open Source and Public Sector, Google; Alex O. Holcombe, Senior Lecturer, University of Sydney; Australian Research Council Future Fellow; Linda Stone, Hi-Tech Industry Consultant; Former Executive at Apple Computer and Microsoft Corporation ; Seth Shostak, Senior Astronomer, SETI Institute; Charles Seife, Professor of Journalism, New York University; formerly journalist, Science magazine; Author, Proofiness ; Michael Vassar,President, Singularity Institute; David Pizarro, Psychologist, Cornell University; Researcher in Moral Judgment;Debbie Cachra, Associate Professor of Materials Science, Franklin W Olin College of Engineering; Tim O'Reilly,Founder and CEO of O'Reilly Media, Inc.; Dan Ariely, Center for advanced hindsight, Duke University; James B. Duke Professor of Psychology and Behavioral Economics at Duke University; Author, The Upside of Irrationality; Saul Griffith, Chief Scientist, Other Lab; Manu Prakash, Assistant Professor, Bioengineering, Stanford ; Lisa Randall, Physicist, Harvard University; Author, Warped Passages; Alison Gopnik, Psychologist, UC, Berkeley; Author,The Philosophical Baby ; Eric Weinstein, Mathematician and Economist; Principal, Natron Group; Esther Dyson, Catalyst, Information Technology Startups, EDventure Holdings; Former Chariman,Electronic Frontier Foundation and ICANN; Author: Release 2.1; Max Tegmark, Physicist, MIT; Researcher, Precision Cosmology; Scientific Director, Foundational Questions Institute; Sean Carroll, Theoretical Physicist, Caltech; Author, From Eternity to Here: The Quest for the Ultimate Theory of Time; Jennifer Ouellette, Science Writer. 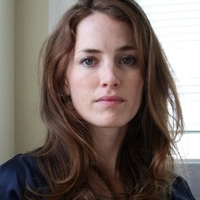 NYU researcher Jennifer Jacquet studies cooperation and the tragedy of the commons. Several Edge contributors at Sci Foo documented their impressions of the conference. 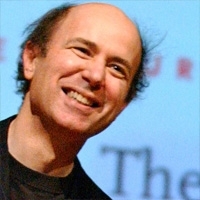 Here are reports from Frank Wilczek, Jennifer Jacquet, and Timo Hannay. Mark Changizi  re-imagined the transition from ape to human. Physical aspects of that transition are documented in the fossil record, and in our DNA, but what about the mental aspects? How, specifically, did the abilities most characteristically "human"—speech, writing, music—get any traction? Here we face an evolutionary conundrum, for those abilities appear useless until they are fully developed (or even after, in the case of music), while evolution by natural selection must proceed by small steps, each contributing to fitness. Darwin himself worried, on similar grounds, over the emergence of sophisticated eyes; the linguists' postulated organ of language poses, if anything, a knottier puzzle. Changizi proposes that human speech, writing, and music are grounded in much simpler natural abilities. His proposals are impressively specific: basic speech sounds derive from the sounds of impacts among solid bodies; the basic symbols of writing derive from recurring features of natural scenes; the basic elements of music are abstracted from the natural sounds accompanying human (or ape) movements. Biologically useful abilities to discriminate and interpret those features of the natural world evolved, through relatively small steps of abstraction, into our human toolbox. I took Changizi's Harnessed: How Language and Music Mimicked Nature and Transformed Ape to Man —a freebie at Scifoo!—home, and read it with fascination. It describes many oddball facts about language and music that his ideas make sense of. I'd be amazed if everything he says is right; but at this point I'd be even more surprised if his main ideas, which crack open riddles that have annoyed me for years, aren't on the right track. Deb Chachra 's session became a little materials science happening, as scientific technology superstars Paul Mcuen and Stan Williams , among others, told war stories and spun out dreams. Chachra opened with the story of Gorilla Glass. Gorilla Glass is a tough version of a notorious brittle but ubiquitous material, developed at Corning in the early 1960s. Because Gorilla Glass is more expensive than ordinary glass, it found no commercial use for many years; but it's largely Gorilla Glass, emerging from long obscurity, that enabled the coming of thin smartphone, computer, and television screens. Advances in material science, largely unheralded, are fundamental to most innovations in technology. Questions and answers: What do we need, to make the autonomous robots of science fiction a reality? Better batteries, perhaps fuel-based. What is the wonder material of the future? Graphene. What new invention will make electronic devices cheaper, faster, and smaller? Nanoswitches. I came away boggled. Jay Olshansky shared his wisdom on that greatest of human problems: aging! The biological meta-theory of aging now seems clear. In the wild, creatures die from predation, disease or starvation at some characteristic rate, depending on lifestyle. Evolution will attempt to squeeze as much reproductive fitness as possible into the expected life-time, but will not build bodies to last much longer. "The ideal race car falls apart after crossing the finish line. If not, you haven't optimized.'' Recalling his classic Scientific American article If Humans Were Built to Last, Olshansky chronicled, in specific detail, cumulative failure modes of heart, back, joint, kidney, ... . His conclusion: Not easy to fix. Yet I came away from his talk hopeful, for the problems, though many, are finite. In any case it's time for a concerted assault on these fundamental problems, using all the tools of modern science. Later I attended a fascinating session by Mark Post, who's working to manufacture meat from stem cells. (I kid you not.) That rang a bell: Olshansky emphasized that muscle cells within the heart die, but are not replenished, while Post pointed out that the heart, like most muscles, contains stem cells. Why don't they divide in our bodies? Can they be prodded to do it? The "Incite" session is something special: A series of 5-minute talks, each with 20 slides exactly, switching every 15 seconds. When I first heard about this format, I anticipated disaster, but there must have been some serious rehearsals, because the presentations were, without exception, brilliant. How babies learn words—Cryptic crosswords—Turing's role in the history of computing—Shame as a scientific subject—20 science jokes (many funny)—Arsenic-based life (Not! )—Making decisions under uncertainty—Solar activity—Insect fun—Feynman as friend and inspiration—A giant Rubik's cube, for Burning Man — and an idea that could improve millions of peoples' lives: Flood-resistant rice. Another big highlight for me came outside the sessions, as I got to chat with Kim Stanley Robinson , the famous author. I took home his Galileo's Dream—another freebie at Scifoo—and promptly devoured it. I learned a lot about Galileo that I didn't know before; he comes alive in this richly imagined semi-fantasy. There were other cool freebies too. I picked up The Arduino Cookbook, and look forward to some tinkering in my basement. I also discovered chocolate goji Bliss Bars, which are worthy of their name. Yes, the legend is true: They really do put out good food, free for the taking, at Google. Sci Foo is the world’s smartest wedding. The union is between science and technology; the media presides over the ceremony. Technology is beautiful, young, and recently came into some money (her father is paying for the wedding) — she’s also a little wild. Science has an aristocratic lineage, his sensible manners, and high moral principles. Together they share a love of math, space, and computers. It is tempting to think he’s in charge, but we all know she wears the pants. Food and drink are consumed in great quantities in big white tents. The accessories are smartly designed (i.e., double sided name badges). Everyone invited is a friend of the bride or the groom and therefore deserving of conversation. The celebration begins with a rush of proposed sessions hand-written on bright pieces of paper and scrambling for time slots. It’s nostalgic, like signing up for archery or puffy painting, and the result is organic, colorful, and exciting. Imagine what a different tone would be set if that board was digitized. Although Sci Foo takes place in the technological bedrock of Google (“Turing’s Cathedral” as George Dyson  referred to it), the talks are conversational, jubilant, and informal. When is the last time you talked to Martin Rees  on a bus? Many sessions make zero use of digital technology — I can’t remember an academic conference where that was true. Perhaps partly for this reason, people can really connect. I found more opportunities to collaborate with people at SciFoo than at conferences designed around my own disciplinary interests. This year, Sci Foo also introduced the antithesis to its informality: "Ignite" talks. The concept is to speak for 5 minutes with 20 slides that automatically advance every 15 seconds. There were 14 Ignite talks at Sci Foo about things like bugs, building a big Rubik’s Cube, and how babies learn. The result was more of a performance than a conversation (although my talk was less a performance than an exercise in overcoming neurosis). On the one hand, Ignite talks aspire to an art form in the attention economy; fit the best of what you have to say into five minutes of other people’s time. On the other hand, as the Ignite slides marched onward, I thought I saw one of the biggest battles of our time flicker across the format (and the conference as a whole): do we want machines or ourselves to be in charge? Trying to sum up Sci Foo is a bit like trying to describe the Mandelbrot set. You can give the formula, but that doesn't begin to communicate the experience. Alternatively, you can try to summarise the overall shape, perhaps by outlining some of the main events and themes, but to me that somehow misses the essence too. So I'll make do with describing some of the personal delights that I encountered during my wanderings among the intellectual whorls and crenulations that make up this event, even at the risk of missing the big picture (for which it is perhaps best simply to imagine the following experiences multiplied by a few hundred). Here is the story of my Sci Foo. It seemed that an appropriate way to start would be to attend a session on the nature of time itself? The convener, Sean Carroll , kicked off with a wonderfully eloquent overview of physical aspects of time, complemented by cosmologist Max Tegmark . Then neuroscientist David Eagleman  talked about his work on human perception of time, including the important finding that our conscious minds live about 80 ms in the past (in order to give us time to integrate and synchronise all the relevant information). Finally, Geoffrey West , formerly a particle physicist but these days more focused on complex systems, talked about time in relation to his work on the persistence of cities (which tend to last forever, at least on historical timescales) compared to, say, companies (which come and go). Famously, time is nature's way of stopping everything happening at once, and we were soon out of it and heading for our next sessions — in my case about movies. On the way, and by coincidence, I was delighted to run into John Liebler , one of the creators of movie, The Inner Life of the Cell. But the movie under discussion at this year's Sci Foo was Contagion, a traditional Hollywood blockbuster that actually tries to get the science (and scientists) right. The discussion involved Larry Brilliant , an epidemiologist who runs the Skoll Global Threats Fund, and who acted as an advisor on the movie. Also participating was producer Stacey Sher . I'm hardly an avid filmgoer, but am increasingly interested in the way that our brains are so attuned to narratives — over and above facts. The result is that we humans make decisions based on more on the stories we tell ourselves, and less on the objective analysis, than we would usually care to admit. In short, stories have power. (Indeed, it is perhaps the central triumph of the scientific method that it helps us to escape our narrative-induced prejudices.) But does the particular story of Contagion do justice to science? It's clear that there was no small amount of effort from the creators and their advisors, but we'll have to wait a few more days (weeks for those of us in the UK) to find out. After a session on the future of life in the universe (involving Max Tegmark , Frank Wilczek  and Martin Rees ) and a lunch spent discussing the problems with patents, it was time for a Third Culture-style science-art mashup. Megan Halpern  led a discussion on scientists and artists collaborating — in ways that produce both art and science. For example, some have been making poems from the contents of research papers (yes, really), while others have been studying birdsong from a musical, not just behavioural or neuroscientific, perspective. Megan maintains that the power of both science and art lie in their abilities to change the way that we look at the world. And by the end of her talk even this dry-as-dust rational materialist had to agree with her. In a later session on a similar theme, Scott Snibbe  talked about his work on Bjork's Biophilia project (a music album, of course, but also a multimedia project infused with scientific ideas). Eric Siegel of the New York Hall of Science joined in with a description of his work with the band They Might Be Giants on their album for kids, Here Comes Science. Finally, Aaron Koblin  from Google Creative Labs described his astonishingly imaginative and technologically cutting-edge projects, such as the video for Interpol's song, Rest My Chemistry). During these discussions, the stark border between art and science, so conspicuous in so much of human life, melted away as if it had been nothing but an illusion. And perhaps that's all it is. Speaking of which, there were, as usual, some excellent sessions on the brain. 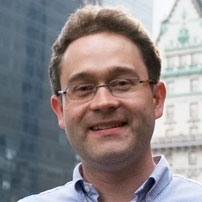 For example, Stephen Smith , Davi Bock  and Mark Ellisman  described amazing work to map out the intricate neural connectivity of our organs of thought. Though there's still a long way to go, the pace of progress in understanding the cellular and molecular structure and function of the brain is truly astonishing and I wouldn't like to bet money against our being able to understand — or at least model — the mechanisms in realistic detail within the next decade or two. But this still leaves huge conceptual challenges, most notably regarding conscious awareness. That's why I was particularly interested in a later session held by Joel Snyder , who described experiments to tease apart attention and awareness (it turns out that your brain can attend to something without being aware of it). This in turn provides an experimental opening to investigate how the brain gives rise to conscious perception, and why we have it at all — i.e., what extra abilities this confers on us over an unconscious mind. This for me is one of the most intellectually interesting questions in all of science. (Another is the related but distinct question of why subjective experience exists at all in this material universe.) A good reminder that we can't rely on what our brains tell us came in a sessions led by Matt Parker  and by Simon Singh  on the human tendency to find meaningless patterns. Once again, stories, even fictional ones, trump data. Unfortunately all Sci Foos must come to an end, and where better place to finish an event hosted at Google than a session entitled 'The Age of the Algorithm', led by info-viz guru Jer Thorp , creator of science-inspired iPad apps, Scott Snibbe (already mentioned above), and maths populariser Alex Bellos . Especially striking was Jer's account of using algorithms to position the names of the deceased on the 9/11 memorial in NY. That was my Sci Foo. In telling this story I have left out many other beautiful and inspiring questions that I encountered along the way. For example, how does a spider's web absorb the kinetic energy of a fly so that the insect doesn't simply bounce off again? (Answer: by containing exquisitely engineered reversibly breaking bonds.) And in embracing soap have we lost anything important from our skins? (Answer: quite possibly yes, in the form of a miniscule ammonia-oxidising bacterium that might have benefits for our health and wellbeing.) And should all science conferences include an"Ignite" session in which each speaker has exactly 5 minutes — and 20 slides auto-forwarding every 15 seconds — to get their point across. (Answer: absolutely.) But that's my point: there's too much going on to describe it all, and everyone's experience is different. I refer you to my fellow attendees' accounts for other views of the vistas and crevices of Sci Foo. "We'd certainly be better off if everyone sampled the fabulous Edge symposium, which, like the best in science, is modest and daring all at once." It seemed that an appropriate way to start would be to attend a session on the nature of time itself? The convener, Sean Carroll, kicked off with a wonderfully eloquent overview of physical aspects of time, complemented by cosmologist Max Tegmark. Then neuroscientist David Eagleman talked about his work on human perception of time, including the important finding that our conscious minds live about 80 ms in the past (in order to give us time to integrate and synchronise all the relevant information). Finally, Geoffrey West, formerly a particle physicist but these days more focused on complex systems, talked about time in relation to his work on the persistence of cities (which tend to last forever, at least on historical timescales) compared to, say, companies (which come and go). Famously, time is nature's way of stopping everything happening at once, and we were soon out of it and heading for our next sessions — in my case about movies. On the way, and by coincidence, I was delighted to run into John Liebler, one of the creators of movie, The Inner Life of the Cell. But the movie under discussion at this year's Sci Foo was Contagion, a traditional Hollywood blockbuster that actually tries to get the science (and scientists) right. The discussion involved Larry Brilliant, an epidemiologist who runs the Skoll Global Threats Fund, and who acted as an advisor on the movie. Also participating was producer Stacey Sher. I'm hardly an avid filmgoer, but am increasingly interested in the way that our brains are so attuned to narratives — over and above facts. The result is that we humans make decisions based on more on the stories we tell ourselves, and less on the objective analysis, than we would usually care to admit. In short, stories have power. (Indeed, it is perhaps the central triumph of the scientific method that it helps us to escape our narrative-induced prejudices.) But does the particular story of Contagion do justice to science? It's clear that there was no small amount of effort from the creators and their advisors, but we'll have to wait a few more days (weeks for those of us in the UK) to find out. After a session on the future of life in the universe (involving Max Tegmark, Frank Wilczek and Martin Rees) and a lunch spent discussing the problems with patents, it was time for a Third Culture-style science-art mashup. Megan Halpern led a discussion on scientists and artists collaborating — in ways that produce both art and science. For example, some have been making poems from the contents of research papers (yes, really), while others have been studying birdsong from a musical, not just behavioural or neuroscientific, perspective. Megan maintains that the power of both science and art lie in their abilities to change the way that we look at the world. And by the end of her talk even this dry-as-dust rational materialist had to agree with her. In a later session on a similar theme, Scott Snibbe talked about his work on Bjork's Biophilia project (a music album, of course, but also a multimedia project infused with scientific ideas). Eric Siegel of the New York Hall of Science joined in with a description of his work with the band They Might Be Giants on their album for kids, Here Comes Science. Finally, Aaron Koblin from Google Creative Labs described his astonishingly imaginative and technologically cutting-edge projects, such as the video for Interpol's song, Rest My Chemistry). During these discussions, the stark border between art and science, so conspicuous in so much of human life, melted away as if it had been nothing but an illusion. And perhaps that's all it is. Speaking of which, there were, as usual, some excellent sessions on the brain. For example, Stephen Smith, Davi Bock and Mark Ellisman described amazing work to map out the intricate neural connectivity of our organs of thought. Though there's still a long way to go, the pace of progress in understanding the cellular and molecular structure and function of the brain is truly astonishing and I wouldn't like to bet money against our being able to understand — or at least model — the mechanisms in realistic detail within the next decade or two. But this still leaves huge conceptual challenges, most notably regarding conscious awareness. That's why I was particularly interested in a later session held by Joel Snyder, who described experiments to tease apart attention and awareness (it turns out that your brain can attend to something without being aware of it). This in turn provides an experimental opening to investigate how the brain gives rise to conscious perception, and why we have it at all — i.e., what extra abilities this confers on us over an unconscious mind. This for me is one of the most intellectually interesting questions in all of science. (Another is the related but distinct question of why subjective experience exists at all in this material universe.) A good reminder that we can't rely on what our brains tell us came in a sessions led by Matt Parker and by Simon Singh on the human tendency to find meaningless patterns. Once again, stories, even fictional ones, trump data. Unfortunately all Sci Foos must come to an end, and where better place to finish an event hosted at Google than a session entitled 'The Age of the Algorithm', led by info-viz guru Jer Thorp, creator of science-inspired iPad apps, Scott Snibbe (already mentioned above), and maths populariser Alex Bellos. Especially striking was Jer's account of using algorithms to position the names of the deceased on the 9/11 memorial in NY. Although Sci Foo takes place in the technological bedrock of Google (“Turing’s Cathedral” as George Dyson referred to it), the talks are conversational, jubilant, and informal. When is the last time you talked to Martin Rees on a bus? Many sessions make zero use of digital technology — I can’t remember an academic conference where that was true. Perhaps partly for this reason, people can really connect. I found more opportunities to collaborate with people at SciFoo than at conferences designed around my own disciplinary interests. Mark Changizi re-imagined the transition from ape to human. Physical aspects of that transition are documented in the fossil record, and in our DNA, but what about the mental aspects? How, specifically, did the abilities most characteristically "human"—speech, writing, music—get any traction? Here we face an evolutionary conundrum, for those abilities appear useless until they are fully developed (or even after, in the case of music), while evolution by natural selection must proceed by small steps, each contributing to fitness. Darwin himself worried, on similar grounds, over the emergence of sophisticated eyes; the linguists' postulated organ of language poses, if anything, a knottier puzzle. Changizi proposes that human speech, writing, and music are grounded in much simpler natural abilities. His proposals are impressively specific: basic speech sounds derive from the sounds of impacts among solid bodies; the basic symbols of writing derive from recurring features of natural scenes; the basic elements of music are abstracted from the natural sounds accompanying human (or ape) movements. Biologically useful abilities to discriminate and interpret those features of the natural world evolved, through relatively small steps of abstraction, into our human toolbox. I took Changizi's Harnessed: How Language and Music Mimicked Nature and Transformed Ape to Man —a freebie at Scifoo!—home, and read it with fascination. It describes many oddball facts about language and music that his ideas make sense of. I'd be amazed if everything he says is right; but at this point I'd be even more surprised if his main ideas, which crack open riddles that have annoyed me for years, aren't on the right track. Deb Chachra's session became a little materials science happening, as scientific technology superstars Paul Mcuen and Stan Williams, among others, told war stories and spun out dreams. Chachra opened with the story of Gorilla Glass. Gorilla Glass is a tough version of a notorious brittle but ubiquitous material, developed at Corning in the early 1960s. Because Gorilla Glass is more expensive than ordinary glass, it found no commercial use for many years; but it's largely Gorilla Glass, emerging from long obscurity, that enabled the coming of thin smartphone, computer, and television screens. Advances in material science, largely unheralded, are fundamental to most innovations in technology. Questions and answers: What do we need, to make the autonomous robots of science fiction a reality? Better batteries, perhaps fuel-based. What is the wonder material of the future? Graphene. What new invention will make electronic devices cheaper, faster, and smaller? Nanoswitches. I came away boggled. Another big highlight for me came outside the sessions, as I got to chat with Kim Stanley Robinson, the famous author. I took home his Galileo's Dream—another freebie at Scifoo—and promptly devoured it. I learned a lot about Galileo that I didn't know before; he comes alive in this richly imagined semi-fantasy.